Gaunt dairy cows, hundreds of pounds underweight according to experts, endured a Yorktown barnyard knee deep in mud and manure until authorities removed the animals this month. 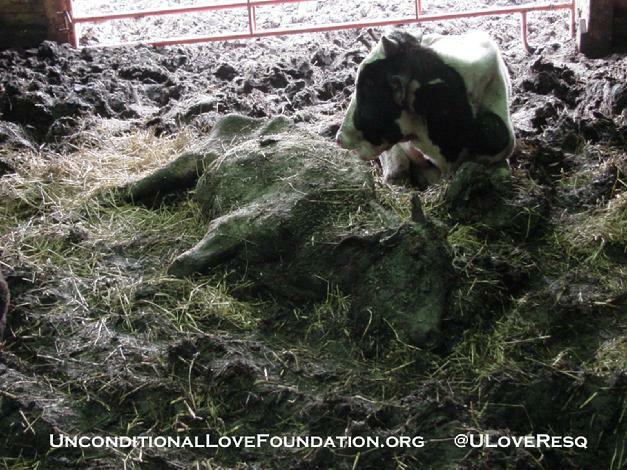 Six other Holsteins were found dead in the barnyard, their bodies partially decayed and sunken into the muddy manure. The Delaware County prosecutor's office this week filed charges against the owner, Steve Dupps, 501 N. Delaware County Road 725-W, in Muncie City Court. If convicted on an animal neglect charge, a class B misdemeanor, he could face 180 days in jail and a $1,000 fine. Jill Dolon, animal control officer for Delaware County, said she had never seen a worse case of neglect. "And I hope to never again," she said. 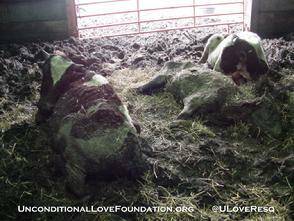 Fourteen of the cows were transported to a foster farm, though one later died and two delivered stillborn calves. The cattle lived in a lot no bigger than a half acre, according to documents from the Indiana State Board of Animal Health. 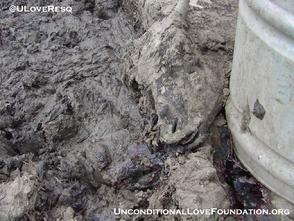 A wire fence separated the mud from 6 inches of grass and dandelions in Dupps's yard. State veterinarians said the cows were about 16 months old and weighed between 400 and 800 pounds, whereas healthy Holsteins that age weigh between 700 and 1,100 pounds, according to court documents. According to police, Dupps told officers he was experiencing family and money problems and could no longer afford to feed them with proper cattle food. 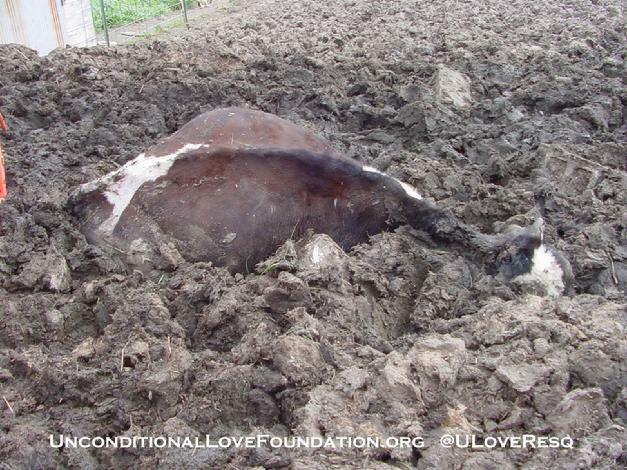 A wet spring had prevented him from driving his tractor into the muddy feed lot to remove manure and dead cows, he told police. Neighbors notified authorities of the problem last month after the carcasses began to smell. The surviving animals are living with a former farmer who had an open pasture, Dolon said. They have gained weight but have several hundred pounds to go. An initial hearing in his case is set for June 13.